“My experience at LVPEI has been an eye opener in the true sense." “My experience at LVPEI has been an eye opener in the true sense. SK Rizwana Begum was just 16 when she got married and lost her vision due to complications from an early pregnancy. Abandoned by her husband, she returned to her parental home. A community based rehabilitation program organized by LVPEI at her village in Kannuru, Krishna District, AP marked the beginning of her journey back to physical, social and economic rehabilitation. 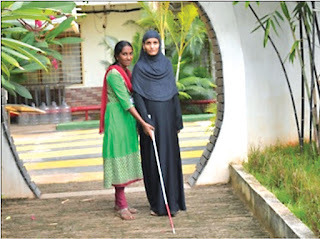 Thanks to the field service officer P Adilakshmi's persistent efforts, Rizwana's parents eventually agreed to her training in mobility and orientation, Braille, money identification and home management. 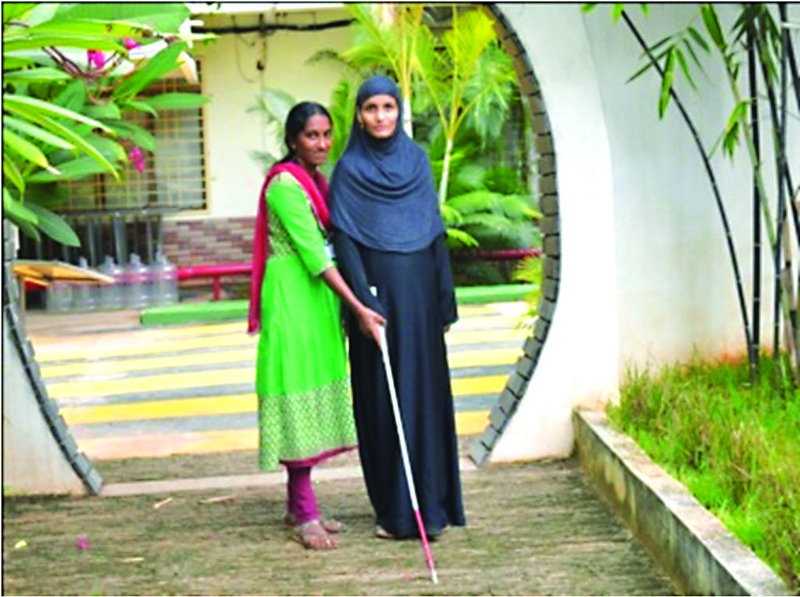 She went on to clear her 10th grade exams, is now training on using low vision and assistive devices at LVPEI's Vijayawada campus, and has since joined Andhra Loyola College in Vijayawada. Rizwana is now determined to complete her education, secure a job for herself and support her family.